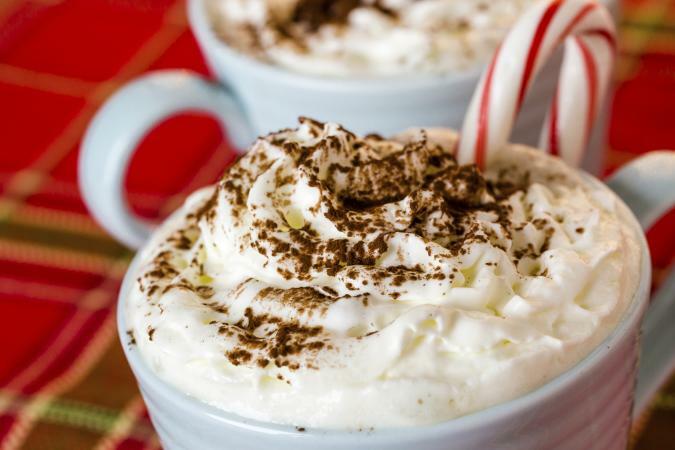 Whipped cream is a favorite topping for many desserts, including sundaes, puddings, custards, cakes, pies, hot chocolate, and even coffees. A similar product is readily available in stores, but why not try making it fresh at home? Master the skill of creating this topping by following the first recipe. Once you do that, you can move on to making the stabilized version that can be used as a filling or an icing, as well as a topping. Chill your bowl and beaters in advance. Combine the ingredients in the chilled bowl, and whip until the mixture thickens. Adding gelatin to the recipe above will give your topping more staying power. This is also useful if you want to add an additional flavoring to the cream. In a heat-proof glass measuring cup, sprinkle the gelatin over the cold water and allow it to sit for 5 minutes. Do not stir. Bring a saucepan of water to a simmer, and set the measuring cup in it. Leave the cup in the simmering water until the gelatin melts completely. Remove the cup from the saucepan, and let the gelatin cool to room temperature. Prepare the recipe for sweet whipped cream, above, and slowly add the gelatin as the cream begins to thicken during whipping. Use the topping now, and the gelatin will help it set. You can refrigerate your creation, but it's best used within one day. While it may seem easy to prepare, there are actually tricks to creating proper whipped cream for different dessert recipes. To be its very best, the cream must be whipped when it's very cold. Refrigerate the mixing bowl and beaters prior to whipping, and consider filling a larger bowl with ice to serve as a base to keep the mixing bowl cold while whipping, particularly on hot days. Use heavy cream with a 30-40 percent butterfat content for best results; lighter creams will not hold their structure easily. Take care not to over-whip the cream - it will become butter. For a sweeter result, add powdered sugar or liquid sweetener to the cream while whipping, but avoid granulated sugar, which could give the cream a grainy texture. Whipped cream easily collapses, so it is best to prepare just prior to use. Besides using unflavored gelatin, it is also possible to stabilize the mixture with a few drops of lemon juice or a bit of powdered sugar. 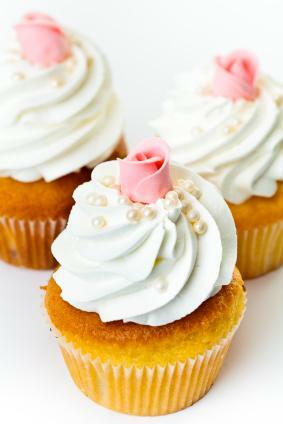 Flavored whipped creams can enhance many different desserts. 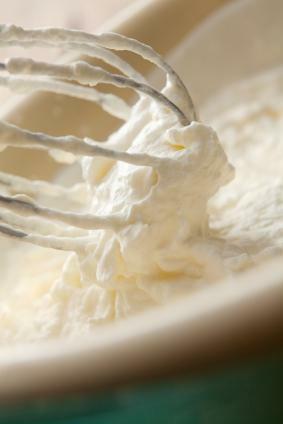 To create a flavored cream, add the flavoring as you finish whipping a batch of stabilized whipped cream. Just make sure you don't over-whip or your cream may wind up collapsing. Cocoa: Stir together 2 tablespoons unsweetened cocoa, 1 extra tablespoon powdered sugar, and a pinch of salt, and then add while whipping. 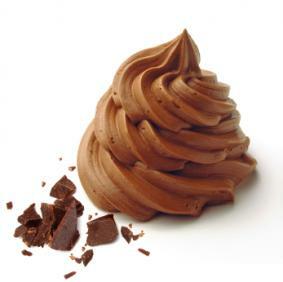 Instant coffee crystals: Whip in 2 teaspoons. Cinnamon: Whip in approximately 1 teaspoon. Fruit-flavored extracts: Whip in about 1 tablespoon. Liqueurs: Whip in about 1 tablespoon. When heavy cream is whipped, it agitates the liquid enough to incorporate air bubbles, which creates a suspension of fat and protein particles. While you can buy whipped topping in frozen tubs and cans, these products are not composed of the same types of diary products. Many chefs feel they have an artificial, contrived flavor that cannot rival the light, fluffy texture of true whipped cream. When cream is whipped, it doubles in volume with a smooth, even texture. From simple treats to sophisticated masterpieces, whipped cream is a popular topping for dozens of desserts and is easy for any aspiring chef to make. Make a batch yourself, and you'll almost surely prefer the flavor to any product from the store.